With its unique blend of ingredients, this innovative product will help to reduce the level of fallout contamination on your vehicle’s bodywork. 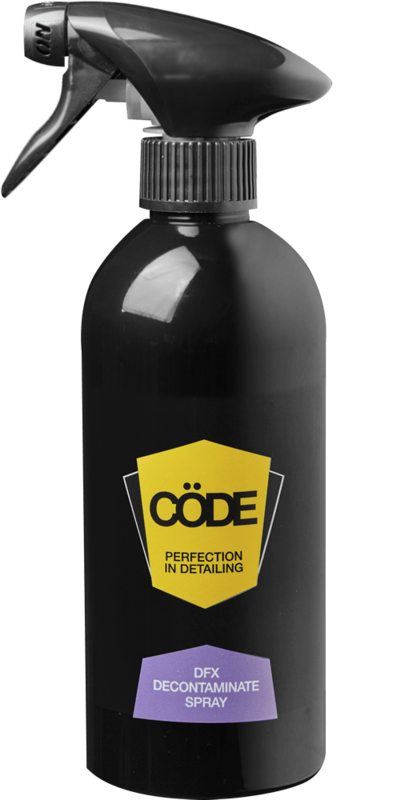 Cöde Decontaminate Snow Foam works by creating a thick blanket of foam that will loosen dirt and grease, while Its anti-redisposition agents help dissolve iron fallout eliminating any further bonding to the surface, leaving a superior finish. CödeClean recommends using a snow lance^ attachment to a high-pressure water cleaner to achieve best results. Prior to applying the Cöde Decontaminate Snow Foam, the vehicle should be thoroughly soaked with water. ^An apparatus that attaches to a pressure washer to produce suds from a soap or detergent to help wash the vehicle’s exterior. 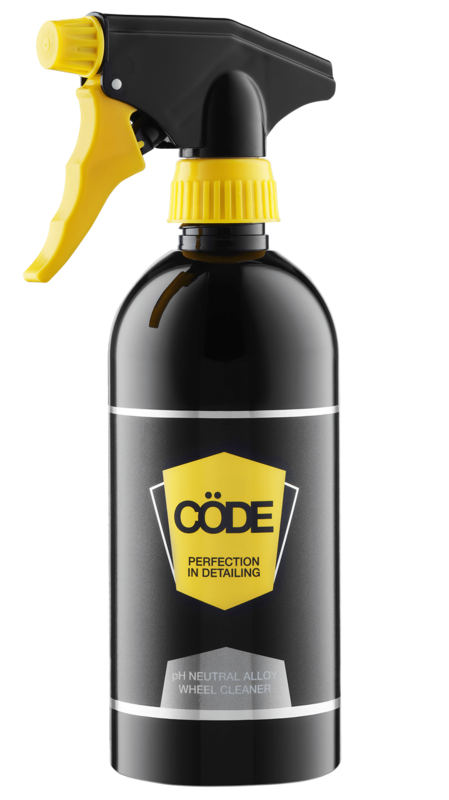 Mix 80–100ml Cöde Decontaminate Snow Foam with 1 litre of water in a snow lance attachment. Using your water pressure gun, apply the foam liberally to coat the entire car. Wash off using a high-pressure water cleaner, or a jet attachment to your garden hose.